The Republic of Inclusion is an immersive conversation and performance event. This event is inspired by the vast compendium of work and the artists, academics and producers, all who create with the lived experience of Deaf, disability and Mad arts. 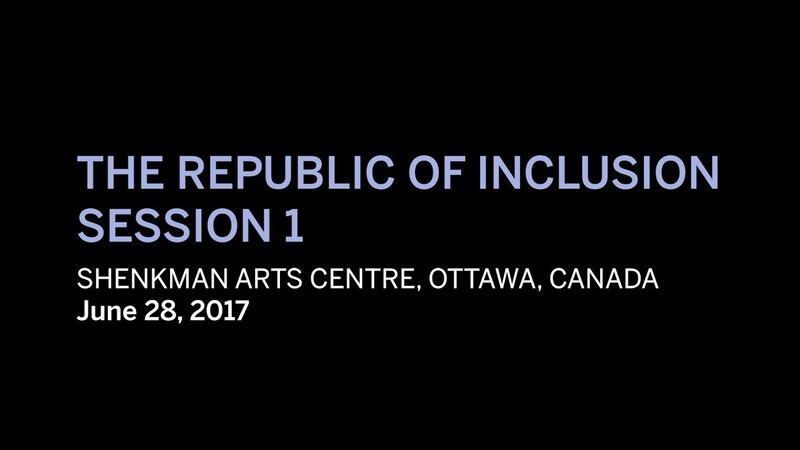 The Republic of Inclusion is designed as a intentional community for everyone and this event will also feature a broad cross section of leading and emerging artists and thinkers from the Deaf, disability and Mad arts community from Canada and beyond. The goals of The Republic of Inclusion is to inspire creativity, collaboration, partnership and programming that truly reflects Canadian artists and to support the changing shape of Canadian Theatre and impact the processes used for its creation. Participate in the discussion via social media using the hashtag #NACinclusion. The morning and afternoon sessions will include conversations and performance bursts. Performance is approximately 2 hours and 30 minutes with no intermission.